Cupid’s Cafe is an amazing multi-author series with After Glows Publishing, one I’m thrilled to be a part of tomorrow. Agatha, Aggie, Kakos lost her boyfriend, her apartment, and now, is one brownie bite away from purging her binge when an invitation to Cupid’s Café shows up on her doorstep. Fighting bulimia and her mother’s constant verbal abuse has never been easy, but this nutritionist is determined to be stronger than her weakest link. She’ll meet a secret admirer at Cupid’s for a morale booster, if nothing else. Following a break-in and the destruction of his paintings, starving artist Murphy O’Shea finds himself at wit’s end. Not only does he need to create twelve more paintings, but in the midst of another manic depressive episode, the challenge seems impossible. He’s got two months or he’ll have to cancel his first show. 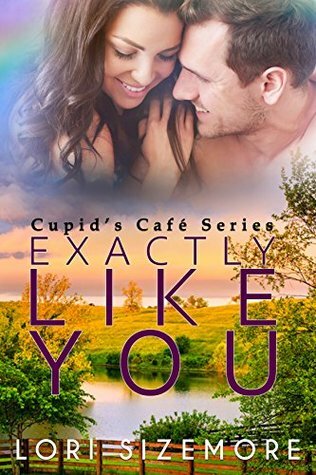 The Cupid’s Café invite offers him a chance to find his muse. He doesn’t expect it to be the woman he’s mirrored the past two years paintings on, nor does he plan on being able to offer Aggie the help she needs. Previous Post Captured Memories Excerpt! Next Post Captured Memories Release Day!